July, the coldest month of Winter in Sydney has settled in and everyone’s feeling the chill but don’t let that stop you from having a wholesome, activity filled weekend! Or if you’re more into snuggling up indoors with a great book and a steamy mug of hot chocolate, don’t let anyone tell you that you can’t do that either! Whether you’re more the type to go exploring and taking up everything Sydney has to offer this winter or if you’d rather hang out in your blanket fort, here are 5 great ideas on how to spend a cold weekend in Sydney. Sydney is immensely fortunate to be surrounded by gorgeous water all around, and it would be a waste to not enjoy it once in a while! Take in the views by hiring a kayak to paddle around Luna Park while simultaneously being awestruck by the grandeur of the Harbour Bridge. If you want to bring warmth into your heart this winter, start by heading over to Taronga Zoo. Besides being able to see cute and cuddly animals up front, you can also get access to talks, shows, tours, and even be a keeper for a day! Immerse yourself in Australian wildlife from Koala bears to Kangaroos all in one place. Gather your best friends and go for a picnic overlooking the harbour bridge at the Observatory Hill Park. This isn’t just a regular picnic- its a Pizza party picnic! Instead of planning and buying things to nibble on, just avoid the hassle all together and order Pizza in Sydney delivered to your picnic mat! Time saving and delicious all at once. 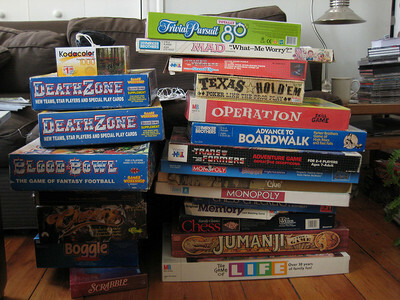 Grab your board games that have been gathering dust from your cupboard and invite all your friends for a fun filled game night! Introduce a bit of friendly competition to your weekends by starting games of Risk, Scrabble and everyone's favourite Monopoly! Don’t forget to supply the competitive spirits with fuel for their game. Get your heart pumping this winter by jogging the most famous coastal walk in Sydney, the Bondi to Coogee walk. This coastal walk has it all - direct access to two beaches, sweeping views of the ocean, and outdoor gyms that anyone can use. Picturesque views of Bondi and Coogee beach adorn the walkways so grab your running shoes and head out this weekend!